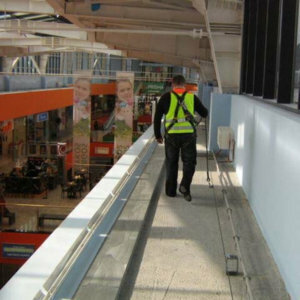 Horizontal lifelines provide continuous protection to the person working near a fall hazard. Horizontal lifelines are available in floor-level, side-mount (wall) and overhead mounting options. Horizontal lifelines can accommodate corners and varying building shapes. Designed with durable weather resistant components, our horizontal lifelines will stand the test of time. What is a Horizontal Lifeline? A horizontal lifeline is typically a cable that is installed parallel to a fall hazard. 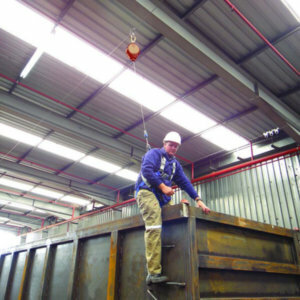 Properly connecting to a horizontal lifeline with a lanyard and harness enables the user to travel parallel to the fall hazard. 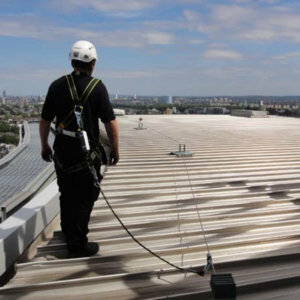 The lifeline is usually attached to the structure at set intervals, and can often change direction to follow the profile of the roof edge or other fall hazards. 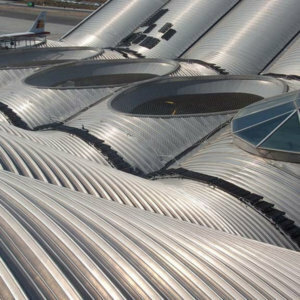 Horizontal lifelines can be attached at foot level when working on a top level surface, such as a roof, but can also be attached overhead, such as airline hangers and bus depots. With a supervised installation, we can train your staff or preferred contractor in the installation of the system while overseeing the process and certifying that the installation was handled properly. 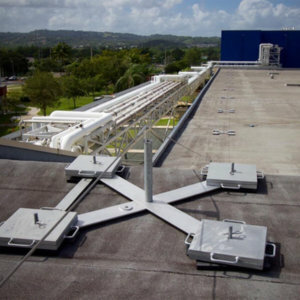 In other cases, a pre-engineered solution can be used, which would allow your own qualified individual (typically a structural engineer) to oversee the installation of the lifeline system. In most situations, we will quote the installation and training as a part of the entire system cost. A turnkey installation is perfect when you would rather have us handle the whole project. We will work with you to design a compliant system, then send certified installers to your site that can safely install and train your people on the use of the system. Skylights are one of the most subtle roof hazards, often overlooked because the roof openings are covered with a skylight. 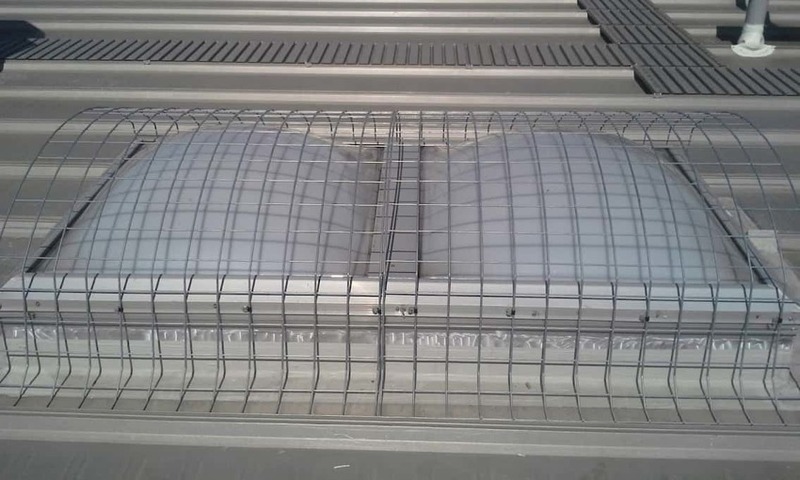 However, most skylights are not designed to bear the weight of a worker, resulting in multiple deaths each year. In addition, skylight screens are required in the US and Canada. Engineered horizontal lifelines are quoted as installed systems. Your location is important to giving an accurate quotation.